Okay everyone... Seeing how there are people who wanted to join I have decided to repost my contest for this week. Those who have submitted late for last week will qualify for this week's contest. 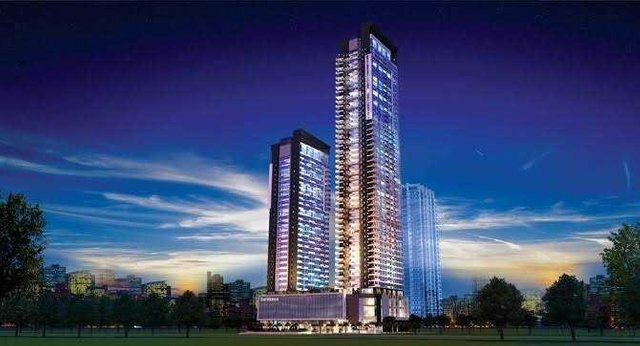 All about The Residences at The Westin Manila Sonata Place rising in the capital of the Philippines. • Updated 2018 sample price from my blog post. • Links to any or all of the More Information & Resources (see further below). • What are the features or benefits? • Why choose and invest in it? • Are foreigners allowed to purchase units? • Any true and personal experience with the Westin hotel or other Westin residences can be included. • Other insightful things you can add and share about it. • Be as creative and original as possible. Entries must not be less than 500 words. Must comment their entry post below. Must mention and link this contest post in the contest entry. Must be an original article and can be in other languages like Spanish, French, Greek, Japanese, Chinese, Korean, Filipino, and others but MUST HAVE an ENGLISH translation. NO plagiarism allowed. If you will copy anything from anyone it must be in quotes. No article spinning as well. Only use Westin images and videos from the More Information and Resources below in your contest entry. Do not use other videos in the post. Pixabay images allowed. Your own created images allowed. Video screencaps allowed and must indicate source but source link is NOT required. It is NOT required to create an original video but if you make and add a video it should include the required info written here, especially the person to contact. This is a writing contest so videos will not be the basis of winning but may be considered as additional chance to win. Tweet your entries if you have a Twitter account and tag @sulatnabentapa. Include Tweet link together with Steemit contest entry post link in your comment below. Contest ends in 3 days after I post this. That's at 9pm on Nov 24, Manila time (UTC+8). Resteem and upvote not required but will help for visibility and to add to the prize pool. ➡️ What About Million Peso Listing? Who's excited to win? May the best contestants win! P. S. Read my other ways to earn online here. Spam comments will be FLAGGED / DOWNVOTED if it is not revised upon warning. Written by @artgirl for Steemit. @artgirl is a freelance artist, writer and an online seller. For property inquiries, art and writing commissions, feel free to contact me. For business inquiries, you can chat me up on Steem.chat, Telegram or send me a Facebook message. Upvote, Follow and Resteem for appreciation. Hello again! Amazingly I voted and gave a $0.01!!! I've got the power once more!!! ha ha ha ha . Btw... you wrote me before: "Hmmm, you can include the contact details too." Where are the contact details? Alright thanks for your entry! BTW... Have you used those pillows and heavenly showers? How do they feel? Just the bed not the showers. :) Feels soft and... well, heavenly. haha. Thanks for your consideration @artgirl for reopening the contest,i will upload my entry soon. Pls check jadams2k18 entry regarding person to contact. Thank you for joining. Pls consider changing the 1st image of your entry. Check on the more info and resources to use the correct image. Thank you. Congratulations! This post has been upvoted from the communal account, @minnowsupport, by penderis from the Minnow Support Project. It's a witness project run by aggroed, ausbitbank, teamsteem, someguy123, neoxian, followbtcnews, and netuoso. The goal is to help Steemit grow by supporting Minnows. Please find us at the Peace, Abundance, and Liberty Network (PALnet) Discord Channel. It's a completely public and open space to all members of the Steemit community who voluntarily choose to be there.